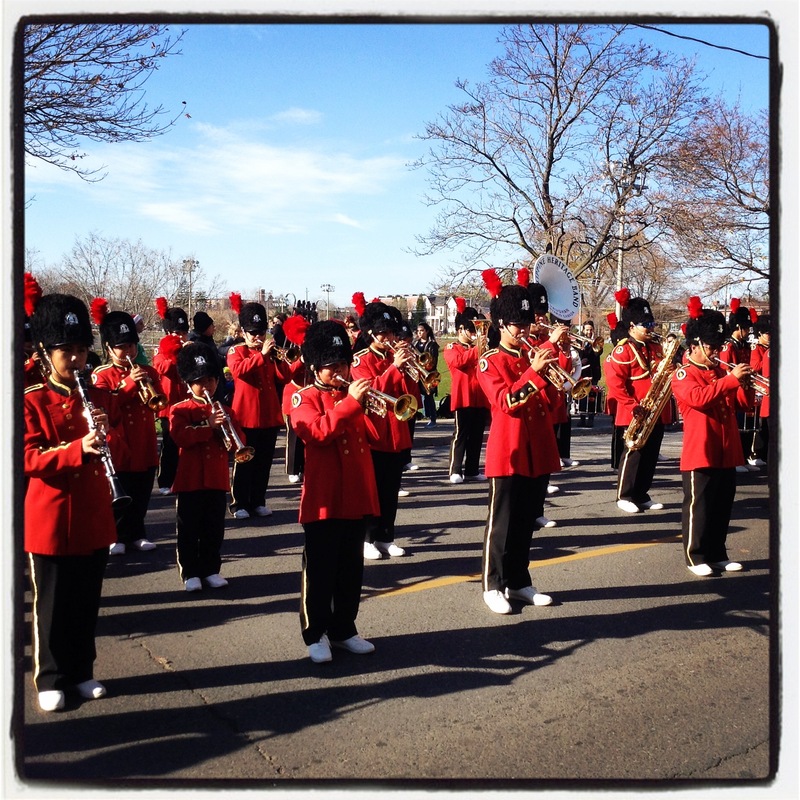 This weekend was the annual Toronto Santa Parade. I attended the event on Sunday along with many young children and their parents. The weather was warm and sunny so families were out in full force. 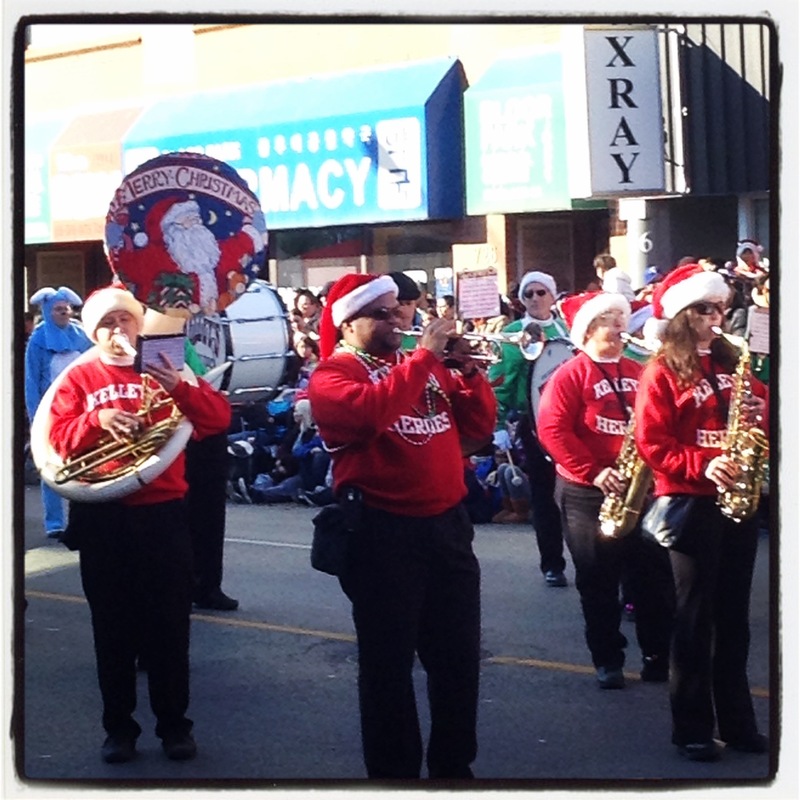 I attended this year because my daughter was participating in the event: she is in the marching band for her school. Before searching for a spot among the crowds, we went to find her to wish her well. During our search we stopped to watch a few bands that were playing their tunes. We finally found a spot where we could see. The crowds were definitely larger than last year (last year the wind was icy and it was snowing). When the parade finally began, I enjoyed the music of the marching bands. The Santa Parade is the one time I hear Torontonians shout out “Merry Christmas” and not the politically correct “Happy Holidays”. It is a pleasure for me to hear these traditional words. I recall this costume from last year and I am still amazed by the fact that she is smiling while pushing the skirt. I am sure that by the end of the parade she is sore and tired from pushing that contraption along! Not all the costumes were the same as last year though – and there were many new floats. There were some that caused cries of delight from the little ones; and the adults roared with approval when the float for the Blue Jays (Toronto’s baseball team) rolled by. After the parade had passed by, people dispersed – and left behind their litter! The streets were strewn with paper cups, paper plates and candy wrappers. The City had thought of clean-up though. Once the streets had cleared a little of people, the barricades were taken away and the cleaners came to pick up the garbage. 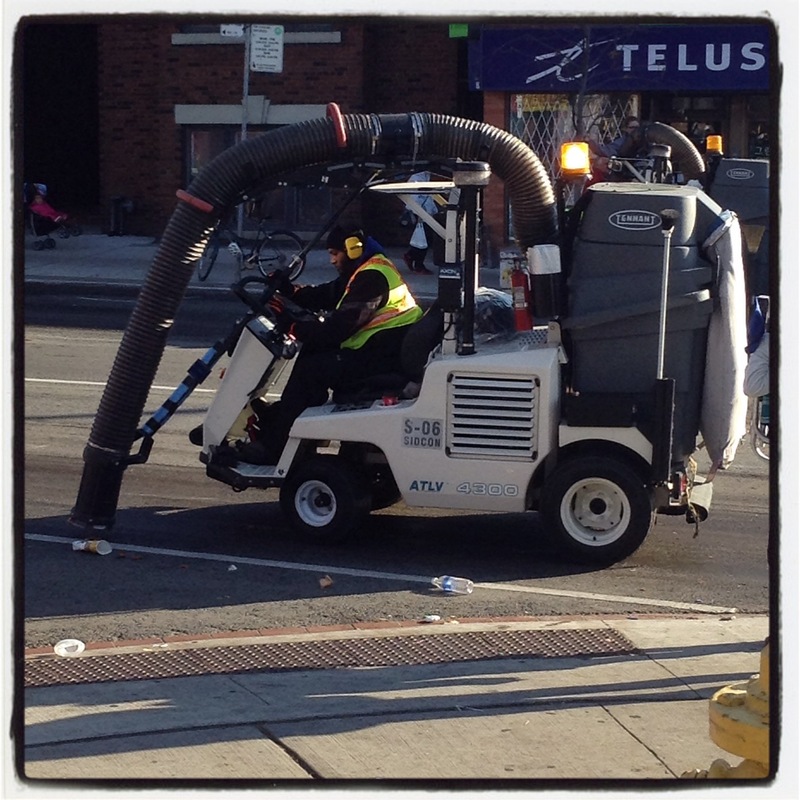 The streets were also swept clean by specialised trucks. Within half an hour, it looked like the parade had not even happened. 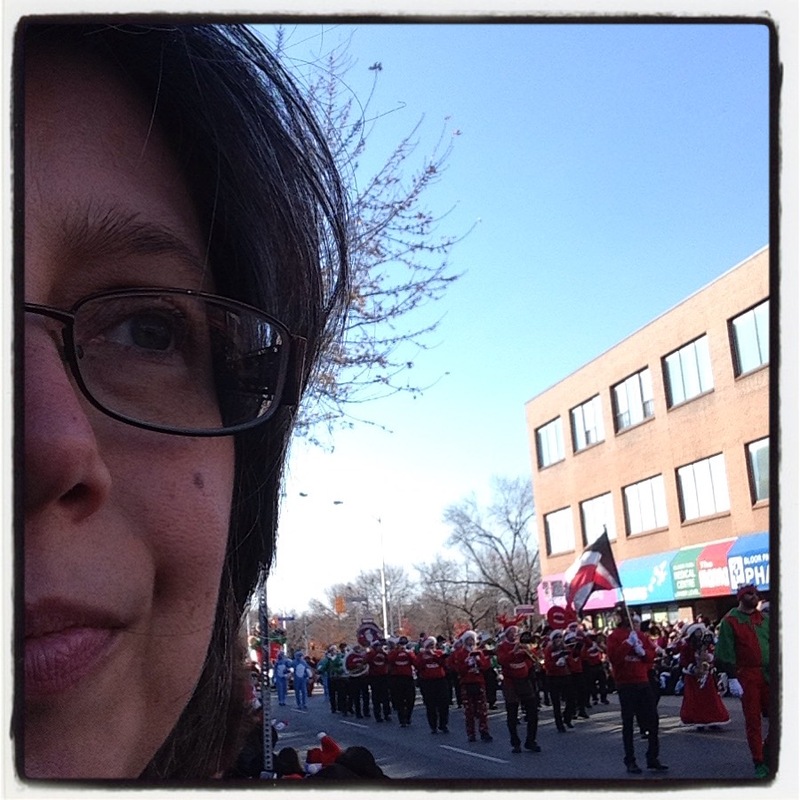 This week I am grateful that the Santa Parade still happens in spite of decreasing profits and budget cuts. The event brings so much joy to so many children – and it is always a pleasure for me to see my daughters participate in this community event. Sounds like a fun parade Colline. Glad they are able to keep it going. Me too Madhu. I love too that the city still puts up Christmas decorations. Looks like a real spirit lifter. How great your daughters are in the Santa Parade. Thank you Ruth – and you too. There is nothing like a Santa parade! My granddaughter went to one with her cousin/bestie last weekend. It was a wonderful event that included visits by firemen, a chance to sit in a firetruck, lots of sweet treats, and of course, Santa. Christmas parades are always fun. 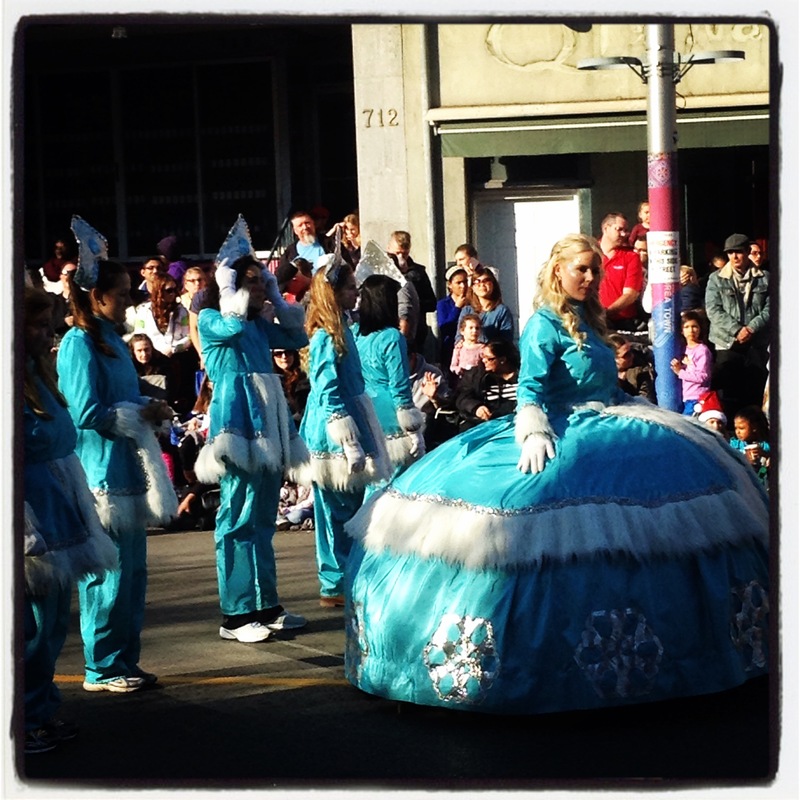 Seeing the faces of the little ones as the floats pass is worth standing in the cold. I agree with you totally John.